change into matching leopard-skin bikinis. "But in Japan - tattoo - is bad?" the band, whose English is almost non-existent, understand him. taboo in their homeland, a mark of the Yakuza crime-ring. changed the melody, and that's "Hypocrite Blues," on our new album." independent svengali Bruce Milne who is behind this current push. suggested Japan was happening, and Milne was immediately convinced. between, and often tiny, and media coverage of music is limited. Australian tour, and now Milne plans to take the connection even further. 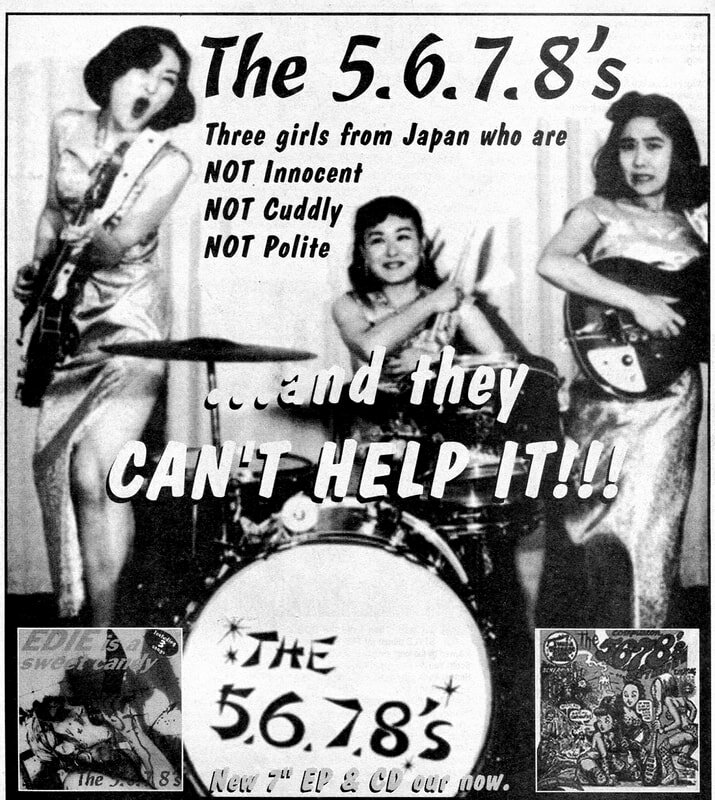 Japanese band called the Outcasts, it was quite deliberate." balancing music as a hobby with everday life, it retains its purity. normal life. l want to enjoy it and be happy when I do my favourite thing."